The Pokémon Company International have revealed Pokémon TCG: XY – Furious Fists as the latest expansion that they will deliver to the Pokémon Trading Card Game this year. This will be supported by booster packs and two theme decks, Dark Hammer and Enchanted Echo, that will introduce more than 110 new cards for fans to collect and play. As always these will include an in-pack code card that will allow you to unlock virtual cards from the expansion for use in the Pokémon Trading Card Game Online. 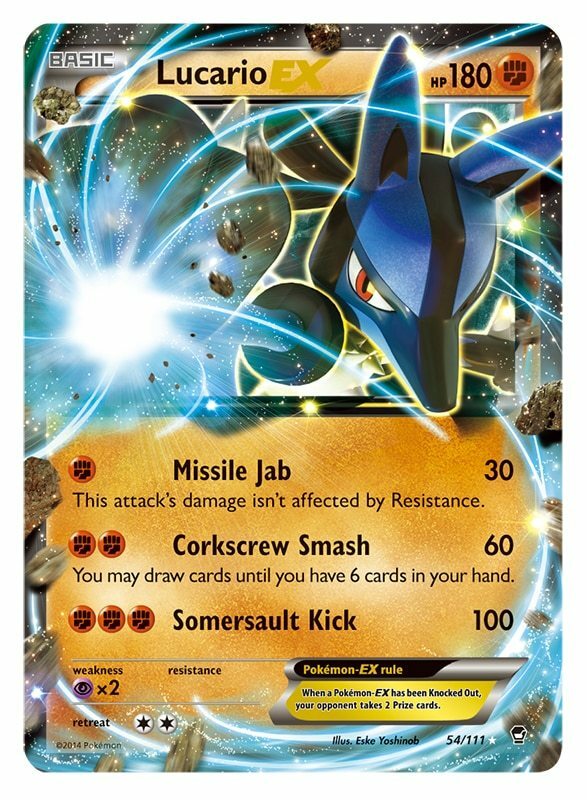 It is the arrival of two new Mega Evolution Pokémon that will excite most, Mega Lucario-EX and Mega Heracross-EX, while there will also be five new Pokémon-EX cards and four new full-art Pokémon-EX rare Ultra cards. These will include Hawlucha-EX, Lucario-EX, Seismitoad-EX, Heracross-EX, and Dragonite-EX. Kalos region Fossil Pokémon, such as Tyrunt, Tyrantrum, Amaura, and Aurorus, will make their debut, while 19 new Trainer Cards will allow you to collect Pokémon X & Y Gym Leader Korrina, among others. 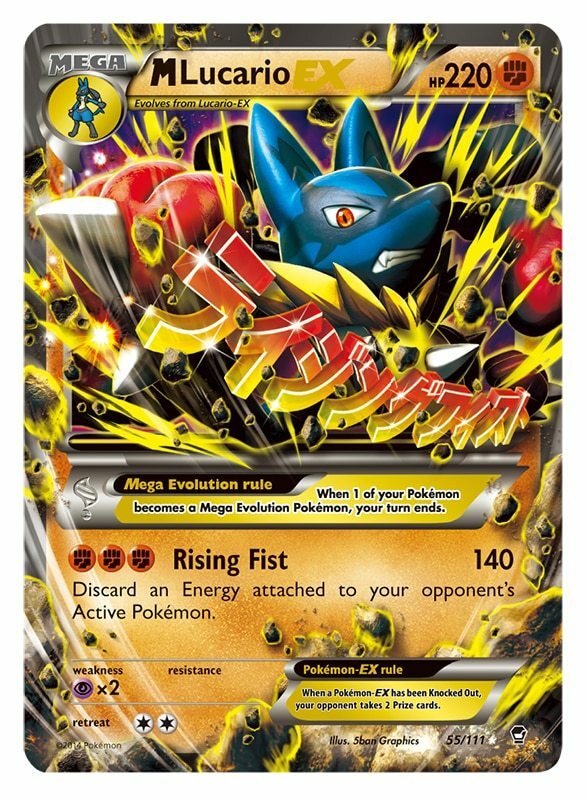 The Pokémon TCG: XY – Furious Fists expansion will launch on August 13th.